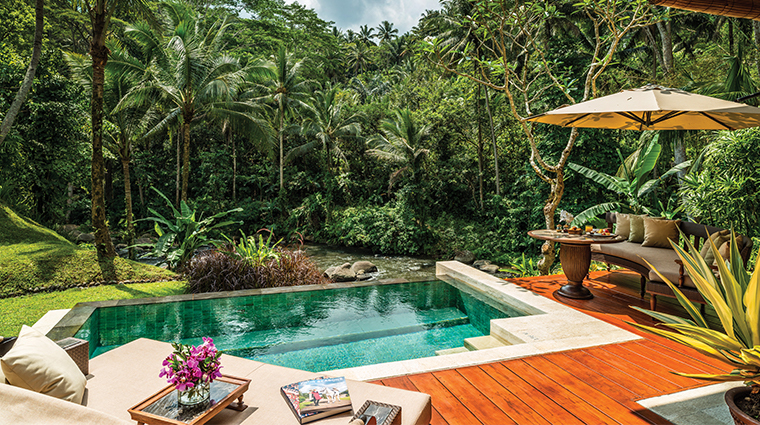 With just 60 guest rooms, this Bali village resort is small by Four Seasons standards, which is exactly what makes Four Seasons Resort Bali at Sayan so appealing. The public spaces are designed to feel intimate — restaurants that seat 30, a long, bi-level pool that follows the curve of the river, and two smaller spas rather than one large space. 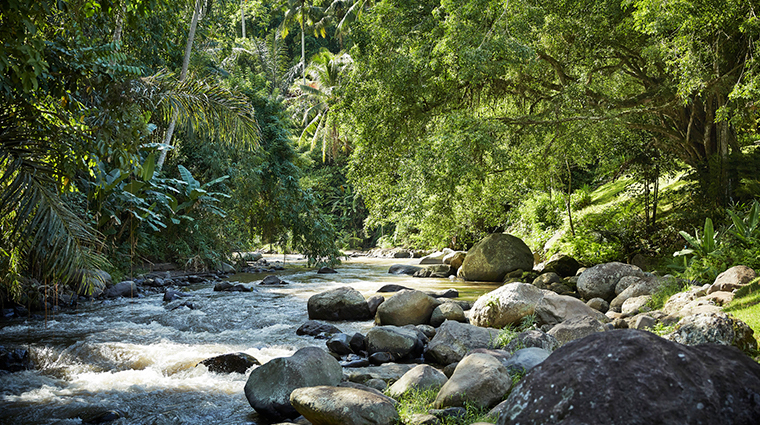 The resort’s grounds cover 18 verdant acres across hills that slope down to the Ayung River. 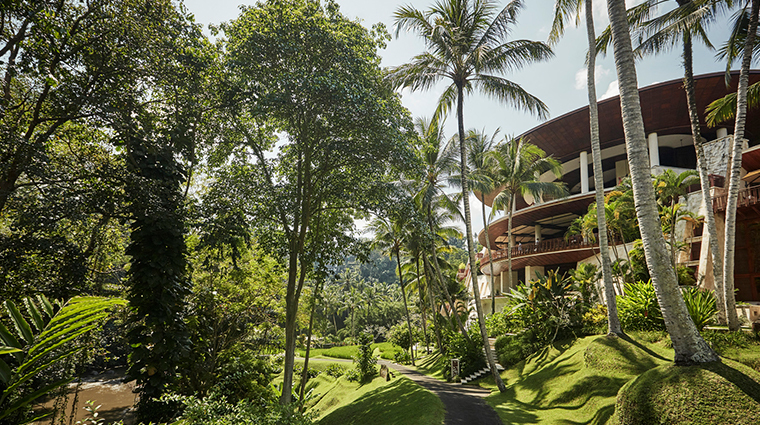 As you take a walk or a ride in one of the resort’s electric carts, you’ll see eggplant, limes, garlic, chili peppers, lemongrass and assorted herbs growing, all of which are used in the hotel’s restaurants. 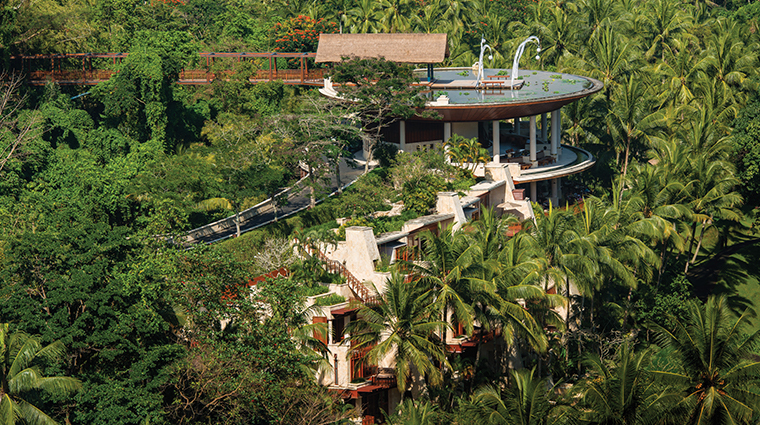 The Bali hotel offers a dizzying array of activities. 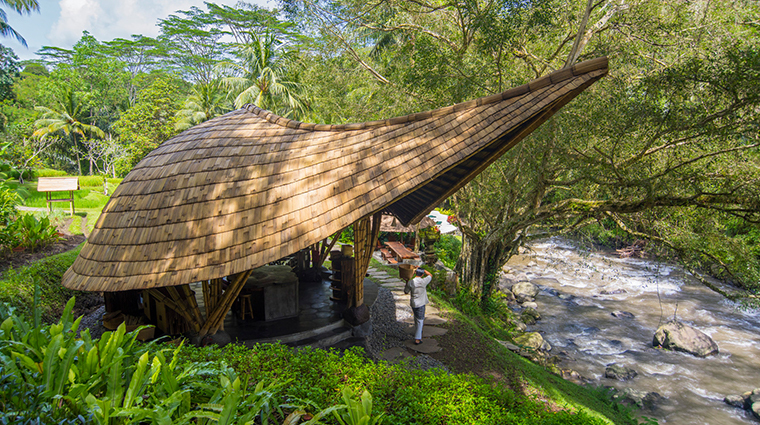 Start off with yoga in the open-air yoga pavilion, go river rafting or take a morning tour of the local market before a Balinese cooking class. 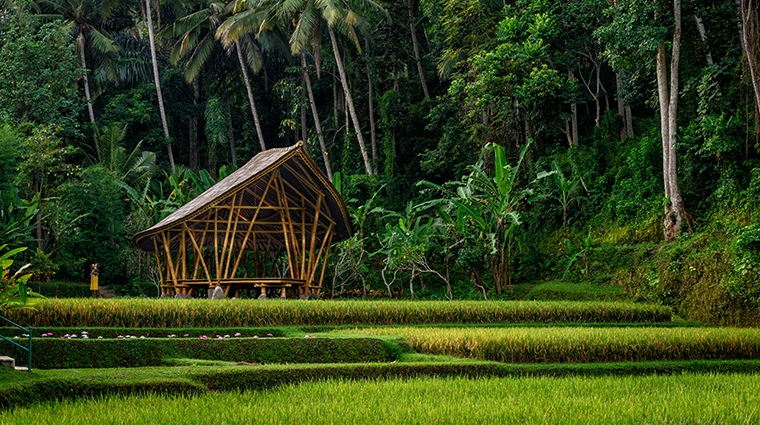 Get even more hands-on with your food by planting rice with local farmers along the rice terraces adjacent to the hotel and learning about how this staple is grown and harvested. 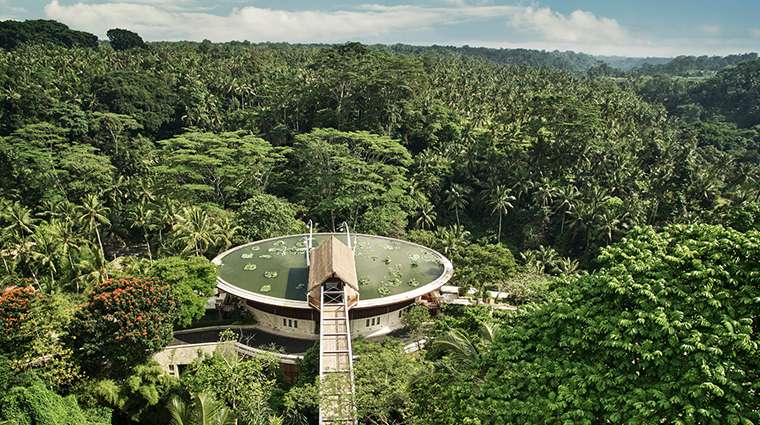 The hotel’s serene Sacred River Spa is surrounded by lush jungle.The spa uses local, organic products made exclusively for Four Seasons, such as a scrub made of temu lawak (ginger) root crushed with fenugreek, cloves and turmeric. 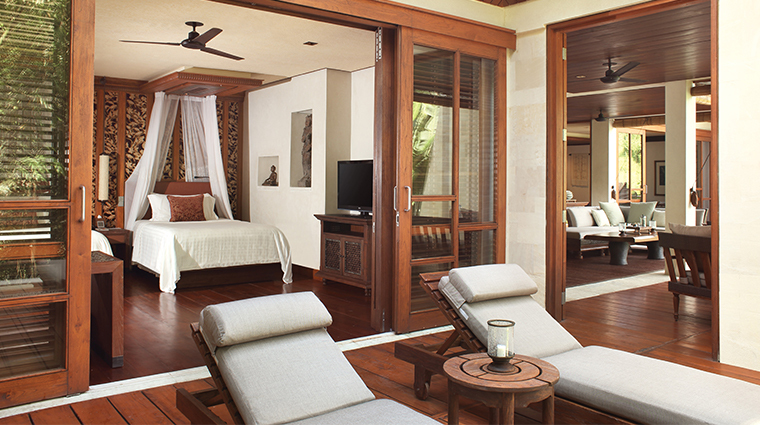 Bottled water, cold towels and umbrellas to shield you from the strong sun are conveniently placed across the resort. 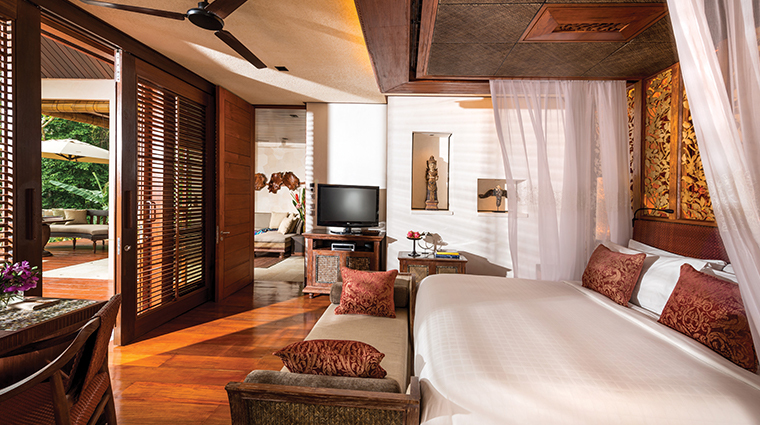 The Four Seasons is 15 minutes’ drive from central Bali and a complementary shuttle runs throughout the day. 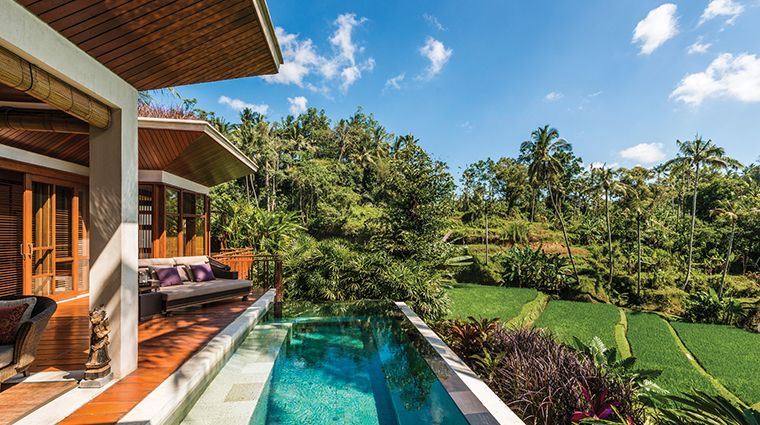 Shuttles are stocked with bottled water, more umbrellas — rain and sun are plentiful and Bali — and even Wi-Fi, the better to plan your sightseeing excursions. 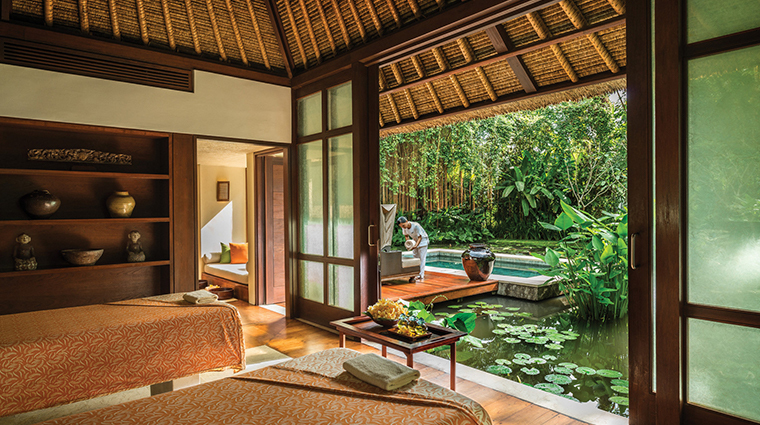 There are three spa villas in addition to the three treatment rooms in the main spa building, and all are decorated with teak furnishings and batik tapestries. 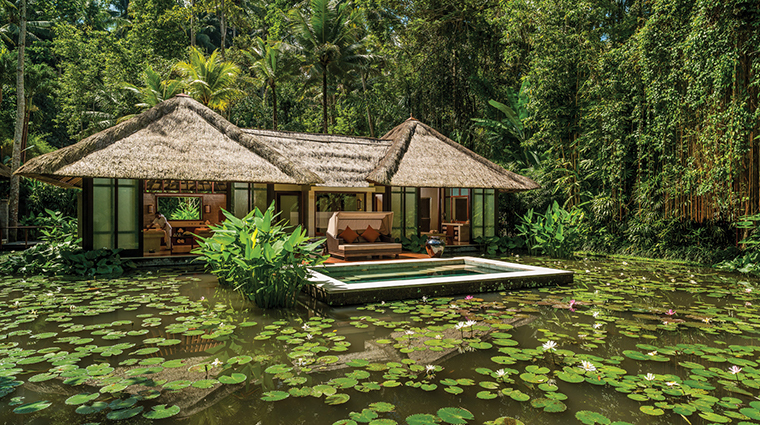 In addition to regular yoga and 30-minute meditation classes, Four Seasons Resort Bali at Sayan hosts guest yoga instructors who run classes for one to two weeks at a time. The luxury hotel is able to arrange visits to the homes of Balians (traditional healers) where, accompanied by a translator, you can get recommendations for herbs and oils. The 18 suites are in the main resort building, a stone’s throw from the restaurants and main pool. The 42 villas are dotted across the resort, some within walking distance of the main building and others a quick electric buggy ride away. 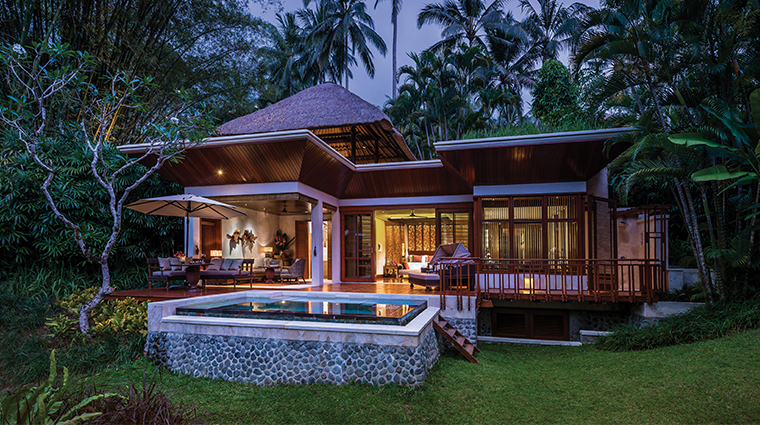 Each of the villas has a plunge pool and outdoor shower. 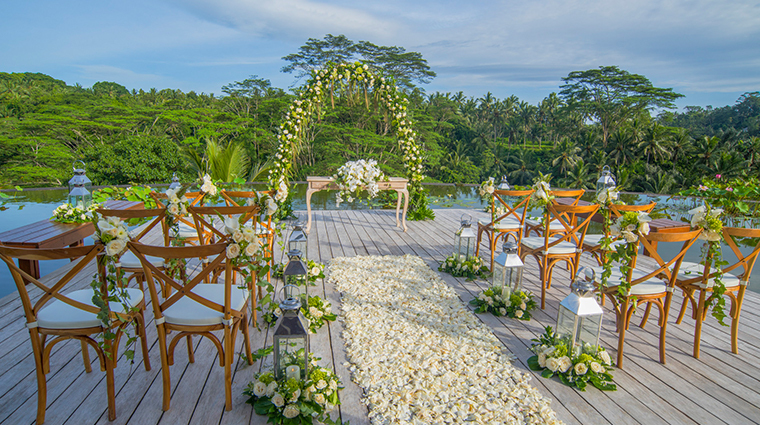 Décor is a mix of contemporary and traditional Balinese, with handsome teak furniture and woodwork throughout, beige wicker furniture in the garden, and vibrant tile-work in the bathrooms. 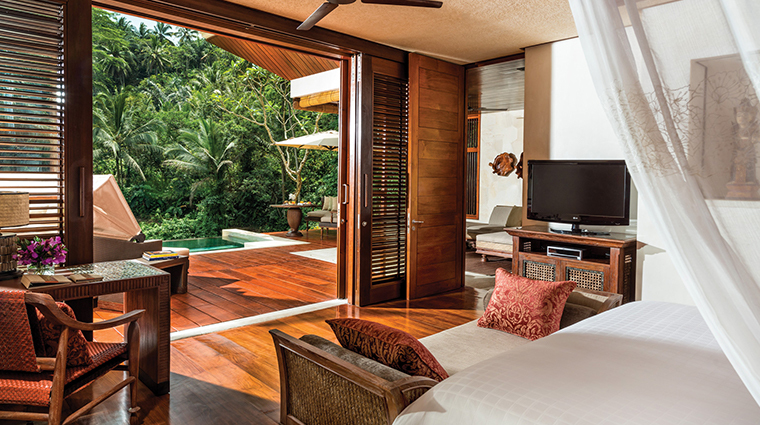 Suites have terraces; villas have large outdoor living spaces that look out over the river valley and gardens. Parents wishing for a little alone time can drop kids ages four and up at Pici Pici Club (“little snail”). The supervised play space is filled with toys, art supplies, books, a mini soccer field, a tree house and daily activities like Balinese dance classes. Children under the age of four will need to be accompanied by an adult. Childcare services can be arranged with the resort, as long as the request is made 24 hours in advance. The kids won’t have to give up technology, with iMac computers, a Playstation 3 console and a DVD library maintained on the premises.